Overnight Monday: Areas of fog, muggy. Lows around 70. Scattered downpours will continue in New England Monday as a tropical air mass is in place. Although we are not expecting a washout, on and off showers are possible, so make sure to keep your rain gear handy. The high humidity will stick around all week long but it looks like lower humidity will arrive the following week. Highs on Monday will be in the upper 70s to near 80, but it will feel like the mid-80s. It will be a bad hair day for many! 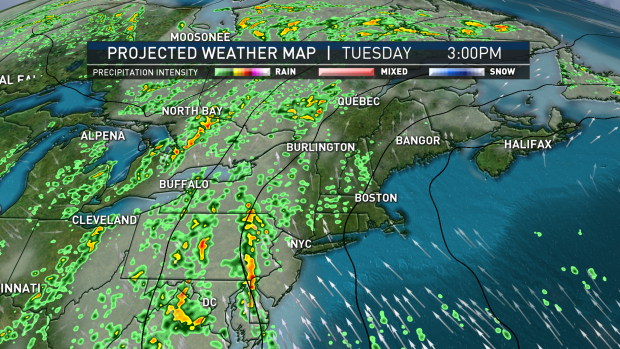 By Tuesday, the greatest concentration of wet weather will be focused across western New England and Upstate New York. Skies may brighten across eastern New England during the day, so it may be a decent beach day at the South Coast, Cape and Islands. Just beware of the risk for rip currents. Wednesday will be a bit stormy as the action moves east. It still appears the coast will be mainly dry. Shower and thunderstorm chances will increase for the coast by Thursday and Friday. Temperatures will drop in the high 60s and low 70s at night and climb into the low to mid-80s during the day. As we take a peek into the weekend, it looks like the sun will win the battle, especially on Sunday when drier conditions are expected. However, a few showers can’t be ruled out. 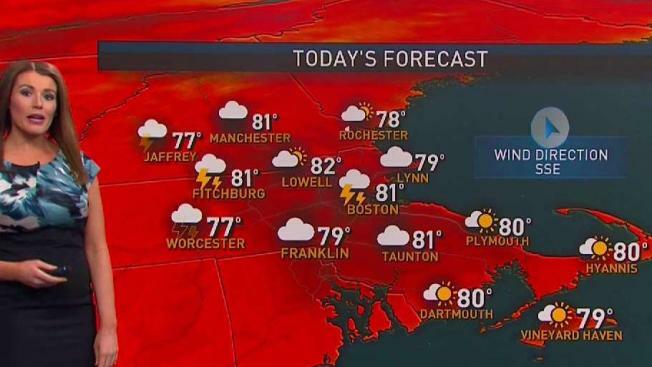 The other good news is that humidity will be lower, too.